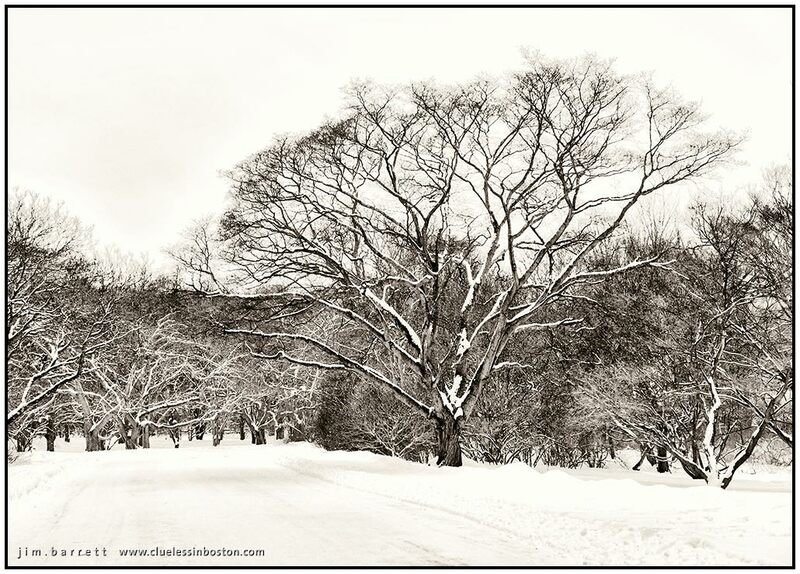 One of the many magnificent looking trees at the Arnold Arboretum with a light coating of snow. A fine tree in Winter. Beautiful winter! Greetings from Poland!